Our restaurant-quality Tableware is made of tough Melamine plastic. You can choose from a wide selection of durable Plastic Tableware, including 9.5" x 7.25" Platters, 5" Side Dishes, 13 Ounce Square Bowls, and More. 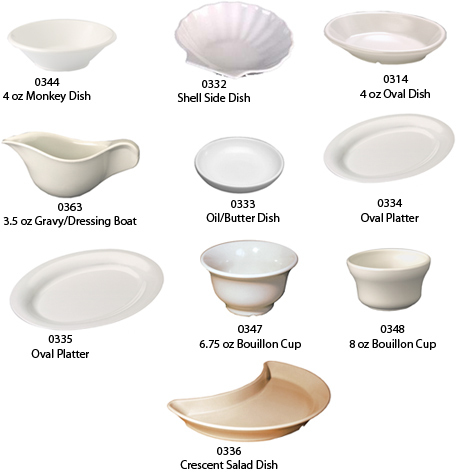 For more information on any of our Durable Plastic Tableware, please contact us at 1-800-233-0828. You might also be interested in our Restaurant Ramekins, Mexican Food Tableware, and Customized Drinkware.